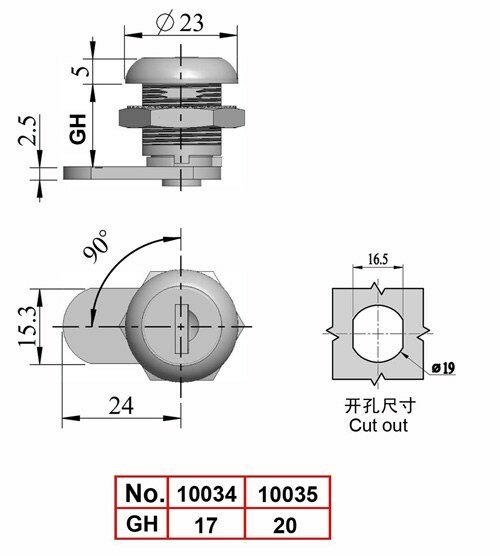 Mingyi Light is professional as one of the leading manufacturers and suppliers of 10034 dust shutter cam lock, cabinet lock, mail box lock master key option length in 16mm/20mm in China. And our factory is located in the convenient city, Quanzhou, enjoying convenient transportation. Please rest assured to buy general products with us or try our customized service.